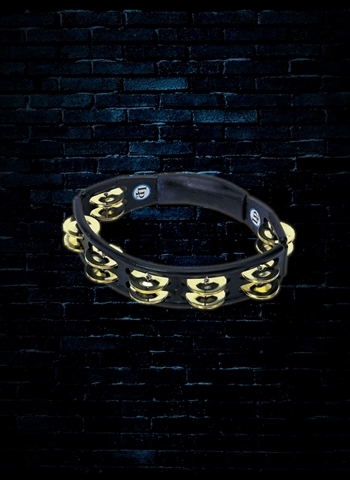 We've all seen a tambourine and maybe even played them before, but few people actually know much about the tambourine. The tambourine is quite a legitimate instrument despite what some experiences of playing them and seeing them played may have you believe. Tambourines are commonly seen being used in pop, gospel, folk, jazz, Americana, and a variety of other styles of music. One of the neatest parts about the tambourine is the convenience of playing it in addition to other things. You can often find singers, background singers, or even horn players playing tambourine to add a little extra percussion and character to the sound of the music. 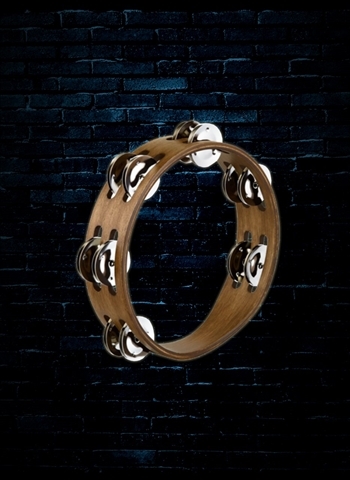 For a great selection of all types of tambourines contact us today at N Stuff Music and you will not be disappointed. 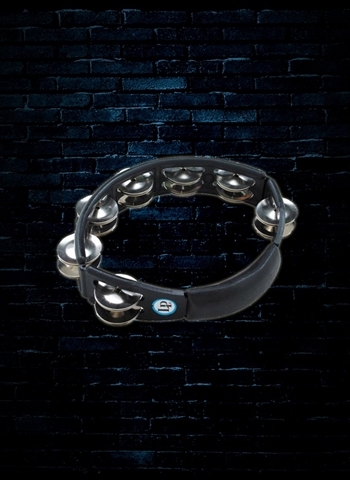 Tambourines can be played in a variety of different ways. Most commonly you can find them being held by hand and played or mounted to a stand in which they can then be played along with a drum set or an entire percussion rig depending on what you are looking to do. Some tambourines are made with a drum head and others do not have one. 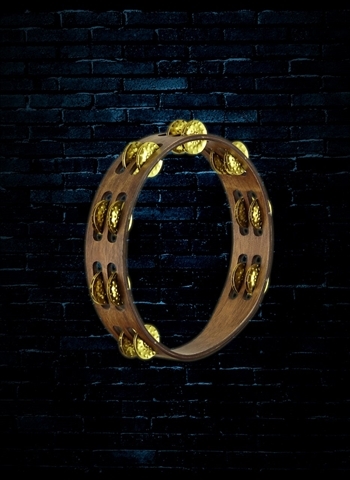 Ones with a head are going to give you the option to hit the tambourine and get more of a sound. Tambourines without the drum head are mostly just shaken and can also be hit on the rim in order to also gain that percussive effect. 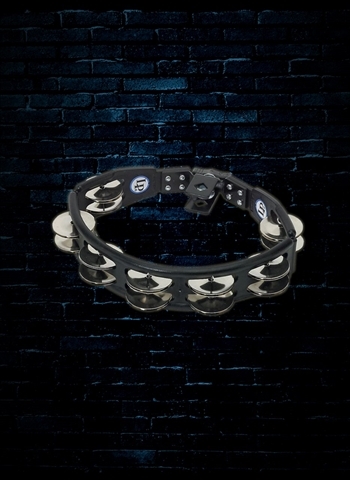 An advanced technique that you need a tambourine with a head for is the thumb roll; this allows you to create a shimmering tambourine effect that is a continued sound and an advanced technique in the percussion world. 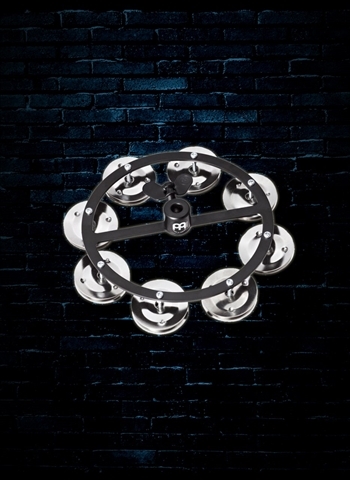 When looking at our selection of tambourines you will find a variety of different styles, features, and prices for each tambourine. 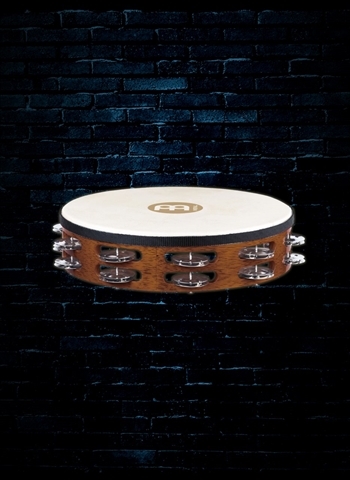 We are a formidable dealer of Meinl products because of their reliability and consistency. We know that by dealing Meinl our customers are getting quality every time they purchase one. Meinl has the full range of tambourines in price and features. A 1-row tambourine just has a single row of jingles whereas the 2-row or more has 2 or more rows of jingles. The more rows there are the louder the tambourine will be; single row tambourines tend to be more affordable than 2-row tambourines are. 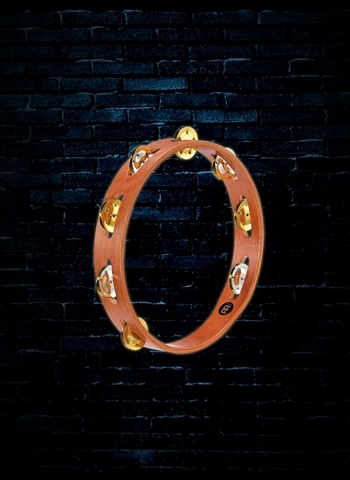 Are you looking for a convenient little tambourine to play while playing another instrument? Well you're in luck! 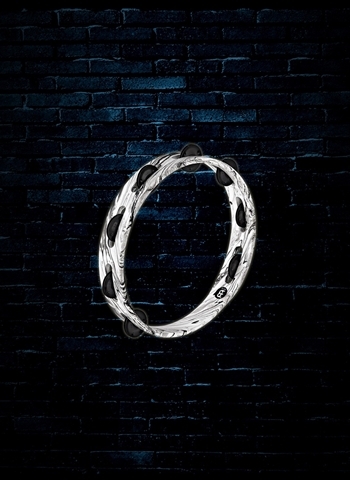 A foot tambourine is the perfect one for you because it simply straps to your foot and can be stomped with a shaken to add a little extra tambourine flare to whatever style of music you might be playing. 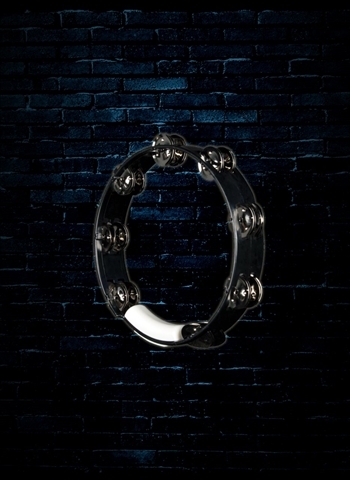 For the best selection of tambourines available in the Pittsburgh and tri state area contact us today at N Stuff Music and we will always hook you up. Selecting from a wide selection of inventory can often be quite daunting. But if you contact us, tell us what you need and what your budget is we can come back with a selection that is pinned exactly to your needs.